Goldman Sachs Group v Commission (T-422/14) is one of the first judgments of the EU General Court which addresses the issue of liability of private equity investors for breaches of competition rules by companies in their portfolio. The significance of this decision has to be appreciated against the context that Hong Kong is an international financial center, but our Competition Tribunal has not yet had the opportunity to provide judicial guidance on parental liability in relation to financial investors. The First Conduct Rule of the Competition Ordinance prohibits undertakings from making or giving effect to an agreement, engaging in a concerted practice, or making or giving effect to a decision of an association, if the object or effect is to harm competition in Hong Kong. According to the Competition Commission’s guideline, the First Conduct Rule does not apply to conduct involving two or more entities if they are part of the same undertaking. The Commission will assess whether the entities constitute a single economic unit and it is not limited to the notion of a corporate or a company group within the meaning of other laws. An agreement between a parent and its subsidiary will not be subject to the First Conduct Rule if the parent exercises decisive influence over its subsidiary. While companies may contend that they belong to the same undertaking to get around the First Conduct Rule, there are two other implications which they should be aware of – attribution of liability and calculation of penalty. In Akzo Nobel NV v Commission (C-97/08P), it was held that the conduct of a subsidiary may be imputed to the parent where that subsidiary does not decide independently upon its own conduct on the market, but carries out the parent’s instructions. Where a parent has a 100 percent shareholding in the subsidiary, the rebuttable presumption is that the parent does in fact exercise decisive influence over the subsidiary’s conduct. Even if the presumption is not applicable, decisive influence may still be found if the parent has a majority interest, or a minority interest which is allied to rights greater than those normally granted to a minority shareholder. On the other hand, the imputation to the parent of liability for the subsidiary’s infringement is not applicable to pure financial investors, ie an investor who holds shares in a company to make a profit, but who refrains from any involvement in its management and control. It is probable that the above principles would apply in Hong Kong. As noted in Quigley & Rab: Hong Kong Competition Law, the Commission’s guideline on single economic unit may be used to decide whether a parent should be held liable for the subsidiary’s unlawful conduct. 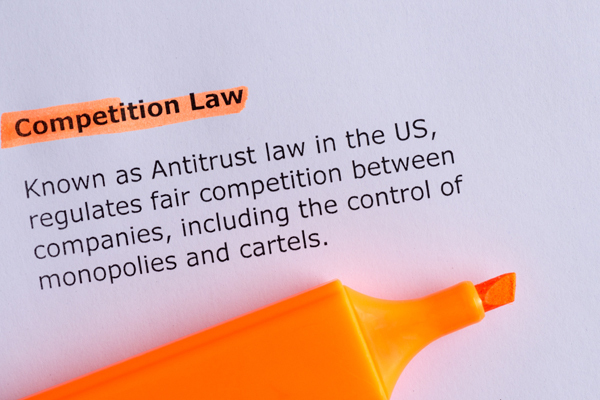 Under the Competition Ordinance, if a person has contravened a competition rule, the Competition Tribunal may order that person to pay a pecuniary penalty which does not exceed 10 percent of the turnover of the undertaking concerned. The 10 percent cap is calculated by reference to the group turnover, and the level of fines can be significantly increased if a parent’s turnover is included. In 2014, the European Commission imposed fines of over €300 million on various producers of high-voltage cables for having participated in an anticompetitive cartel. Goldman Sachs did not directly take part in the cartel, but at the material time, it indirectly held 84.4 percent to 91.1 percent of the equity in an Italian producer, Prysmian. Goldman Sachs was found liable on the basis of the exercise of decisive influence over Prysmian. Prysmian was fined €104,613,000 and Goldman Sachs was jointly and severally liable for €37,303,000 of the fine. In 2018, the EU General Court upheld the European Commission’s decision. The General Court noted that while Goldman Sachs did not wholly own Prysmian, it controlled 100 percent of the voting rights associated with that company’s shares. In combination with a very high majority stake in its share capital, Goldman Sachs was able to determine the economic and commercial strategy of Prysmian. The presumption of decisive influence applied, as Goldman Sachs was in a similar situation to that of a sole owner. The General Court also opined that the European Commission was correct to take into account matters such as Goldman Sachs’s power to appoint board members, its ability to call general meetings, and its role within Prysmian’s various committees. Importantly, the General Court clarified that “pure financial investor” does not constitute a legal criterion; rather, it is merely an example of a circumstance in which it is open to a parent to rebut the presumption of decisive influence. Hong Kong is home to hundreds of private equity firms. This judgment is a timely reminder that private equity investors can be held liable for anticompetitive conduct of companies within their investment portfolio, even years after they have exited the investment. This case also highlights the risks for investors who have rights over their investee but fail to ensure the investee’s compliance with the Competition Ordinance. When acquiring investee companies, due diligence in relation to compliance of competition rules is needed. Investors who are not in a position to institute ongoing monitoring mechanisms should also consider whether they should acquire rights to the extent of having “decisive influence”.